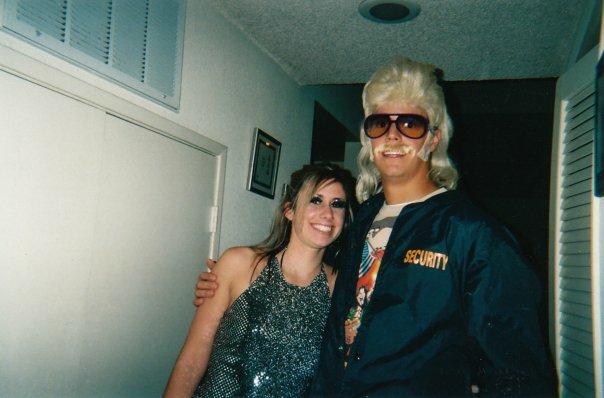 Even though I'm not dressing up for Halloween this year...I thought I would pay ode to my past costumes! 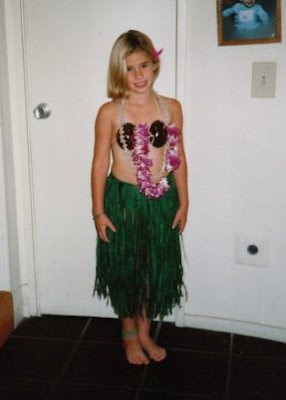 As a little girl I LOVED mermaids and all things Hawaii! 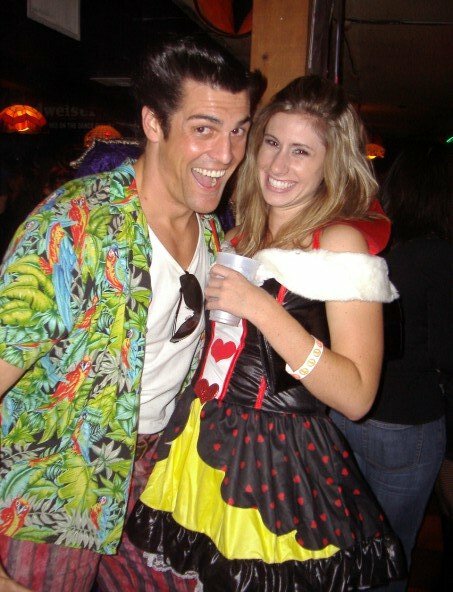 Queen of Hearts and an amazing Ace Ventura! And back to my 80's...gotta love it! HA These are great...love the chicita banana. Haha. Awesome. 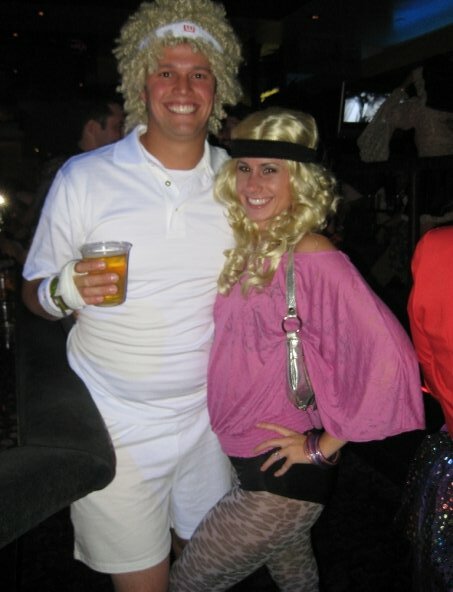 LOL, these are hysterical costumes, girl! ;) Have a great night tonight!! This is awesome!! I have a picture up of me when i was little, too! (: Happyyyy Halloween girl! What a fun post! I loved seeing your different costumes. Haha these costumes are great!! Chiquita banana looks so fun! Cute! I love them all! Your costumes are all so much fun! I wish I had this many pictures from previous years :) Love all the mermaids and 80's costumes! Love your costumes! You two are adorable together! So much fun....I love the hula girl outfit! hehe love the chicita banana and the tourist! So fun!!! I love that you dress up! 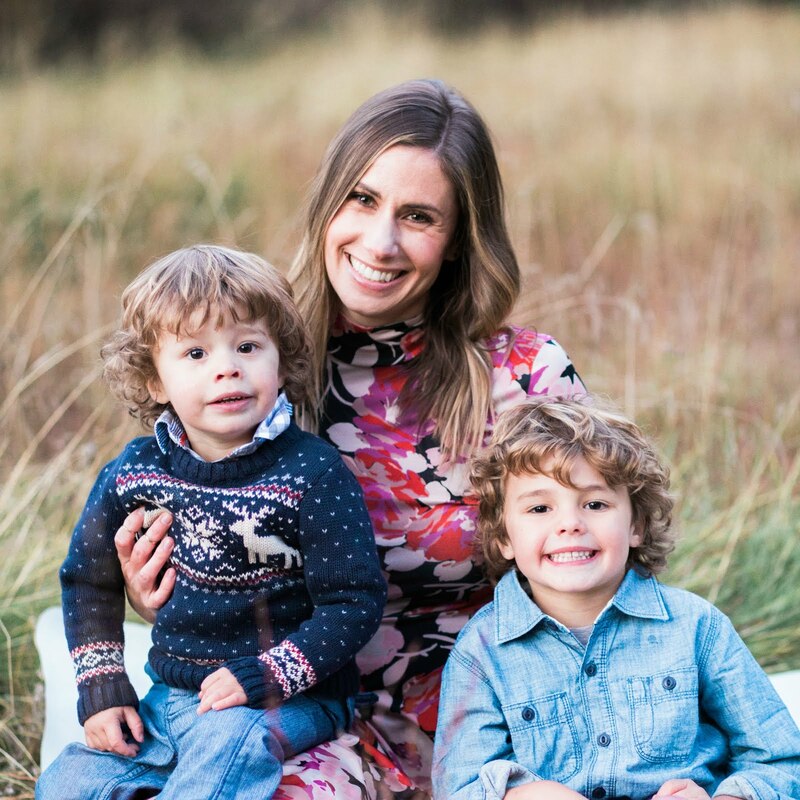 I used to a lot more, but once the kids came along, it was all about them. This year we finally our own party, hence why we were able to dress up again! Lol! What a fun post & great costume ideas!!! Cute costumes :) Happy Halloween! Haha! Awesome costumes! Very creative... Happy Halloween!! hahaha LOVE your costumes!! Hope you have a Happy Halloween!! Love this! Great costumes! Happy Halloween! dang chica! you've had some amazing costumes! love the 80s aerobics! All of your costumes rock! !Love the 80s with the hubs. All those are so fun. I love Halloween and how creative one can be. Happy Halloween, Natasha! Super cute post! So great that you still have all of those photos! Happy halloween! So many cute costumes!! 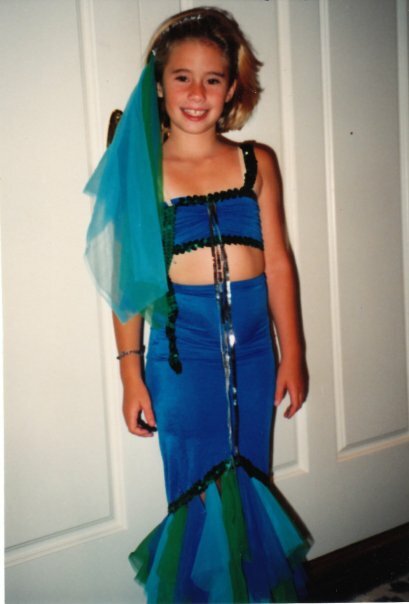 You were one cute mermaid :) Happy Halloween! Fun costumes, Natasha! Each year I was either a witch, a gypsy or a fairy princess. Happy Halloween to you! Love them all! I need to dress up next year. It's been too long. wow you had some great ones!! LOVE your mermaid and 80s aerobic costumes!! Ahhh!! I love these! 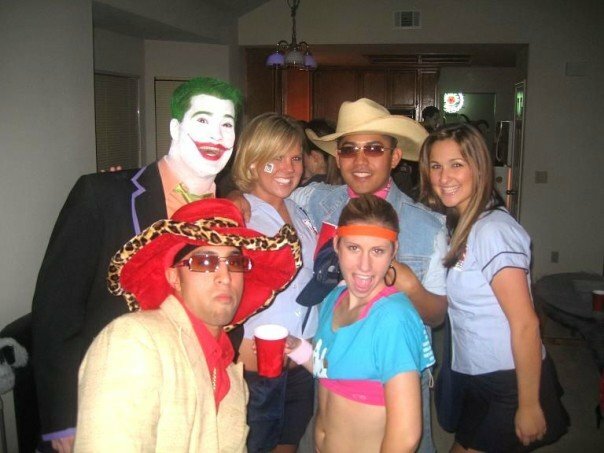 You've definitely had some great costumes over the years!! Hope yall had a great one tonight! So fun! I love that you posted pics from when you were a kid! HOW MUCH FUN!! I am on Lido with tons of candy left--last year we ran out. I hope I don't eat it all. Gotta love them all... but Chiquita Banana and Tourist was the best!!! So funny!! LOVE all your outfits! I was obsessed with mermaids when i was little too- think I might have dressed as Ariel for 4 straight Halloweens! i'm the nerd who stays in character all night...but it's always won me prizes! 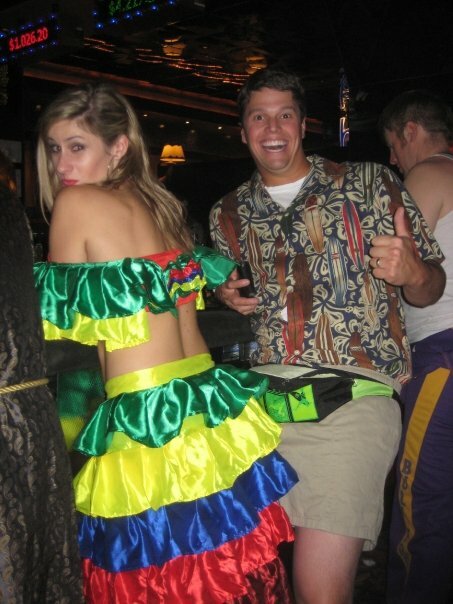 Ummm, the Hawaiian costume...simply fabulous! You ARE way too cute!!! Love all your costumes! How the heck did I miss this. Priceless. The workout gear is cracking me up. And the Ace Ventura . . . perfection. OOTD: Working Wednesays & a Haircut!